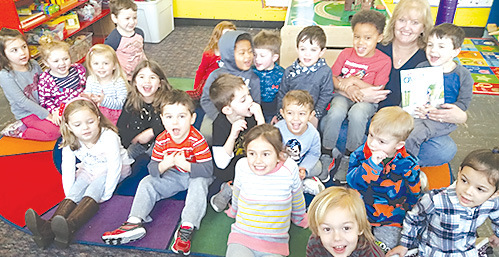 Celine Zaczynski is pictured with happy students at the Suffield Co-operative Preschool, to whom she was reading her new book, Where is Owen Going? A long-time Suffield Preschool teacher and director, town resident, wife, mom and now a grandmother, Celine has always had the love for children, and this continues today as she cares for her two grandkids. The new book was very well received, and we look forward to many more of her stories!